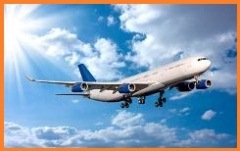 360 Solutions provides tailored software solutions for aviation- international and local airlines in the UAE and the Middle East, as well as for the charter services, to increase their business efficiency while enjoying significant cost savings; for better sale, marketing and operation: market research management, contract management, finance solutions (invoice processing), e-procurement (supply management, purchase order processing, invoicing, etc. ), back office and quality assurance management (customer relations management), correspondence management system, crew management, human resources solutions (time sheet management, recruitment, payroll management, etc. ), in flight catering management, flight operation management, etc.